선몽대 일원은 예천읍지에 수록된 약 450여년 역사를 가진 유서 깊은 곳으로, 선몽대와 선몽대 숲 그리고 그 앞을 흐르는 내성천과 하천 앞에 넓게 펼쳐진 백사장이 함께 어우러져 한국의 전통적 산수미를 보여주는 예천 내성천 유역의 대표적 경승지의 하나이다. 선몽대는 퇴계 이황의 종손이며 문하생인 우암(遇巖) 이열도(1538~1591) 공이 1563년 창건한 정자로서 “선몽대”의 대호 세글자는 퇴계 선생의 친필로 알려져 있으며, 정자 내에는 당대의 석학인 퇴계 이황, 약포 정탁, 서애 류성룡, 청음 김상헌, 한음 이덕형, 학봉 김성일 등의 친필시가 목판에 새겨져 지금까지 전해져 오고 있는 곳으로 선인들의 유교적 전통공간으로서 역사적 의미가 큰 곳이다. 선몽대 숲은 선몽대와 선몽대 뒤편의 백송리 마을을 보호하기 위하여 조성된 우리 선조들의 풍수사상이 깃든 전통적인 마을 숲으로 100~200여년 수령의 소나무 노거수와 은행나무, 버드나무, 향나무 등이 함께 자라고 있으며, 수해방비림, 방풍림, 수구막이숲(홍수로부터 마을을 보호하거나 풍수상 단점을 보완할 목적으로 물길 등을 막기 위해 조성한 숲) 및 비보림(풍수상 단점을 보완하기 위한 숲)의 역할을 해 온 것으로 보인다. 선몽대 일대는 기러기가 내성천에서 풍부한 먹이를 먹고 백사장에서 한가로이 쉬는 형이라고 하여 풍수상 평사낙안형(平沙落雁形)이라 전하고 있는데, 예천에서 안동 방향으로 흐르는 내성천의 강물과 십리에 이른다는 넓게 펼쳐진 백사장이 역사적 유래가 깊은 선몽대와 숲과 함께 어우러져 빼어난 경관을 자아내고 있는 곳으로 경관적·역사적 가치가 큰 경승지로 평가되고 있다. The area around Seonmongdae Pavilion, or Fairy Dream Pavilion, in Yecheon is known for its outstanding natural scenery and time-honored Confucian traditions established by generations of prominent local scholars. Yecheon eupji (Village Records of Yecheon) of the Joseon Dynasty (1392-1910) boasted of these assets for over 450 years. 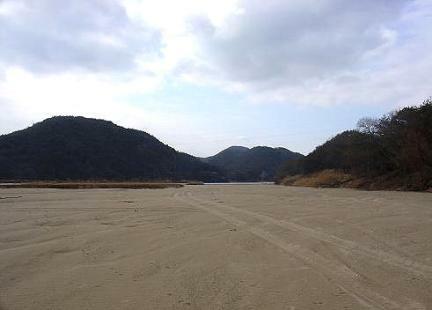 The Seonmongdae Pavilion and the adjacent woodland, along with the Naeseongcheon Stream flowing in front of the pavilion and broad sand beach by the stream, form exquisite scenery reminiscent of a traditional landscape painting. 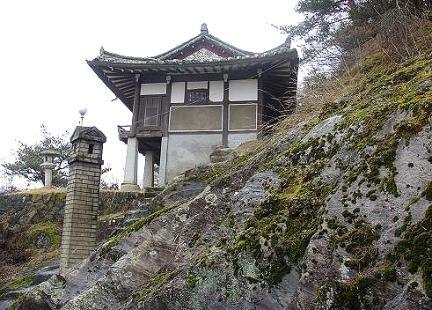 Seonmongdae Pavilion was built in 1563 by Yi Yeol-do (1538-1591, pen-name: Uam), eldest grandson of eminent Neo-Confucian scholar Yi Hwang who is better known by his pen-name Toegye. The pavilion’s name board is said to have been written by Toegye. The pavilion houses woodblock engravings of poems by famous scholars in their own calligraphy, such as Jeong Tak (pen-name: Yakpo), Ryu Seong-ryong (pen-name: Seoae), Kim Sang-heon (pen-name: Cheongeum), Yi Deok-hyeong (pen-name: Haneum), and Kim Seong-il (pen-name: Hakbong) as well as Yi Hwang. 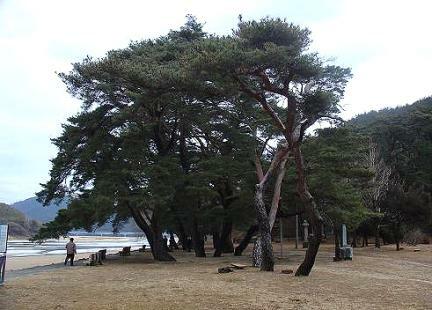 The adjacent woods were created to protect the pavilion and Baeksong Village at its back in accordance with feng shui principles. They form a protective belt against floods and winds while keeping the village's water sources from leaking and helping meet geomantic conditions for blissful human residence. Growing in the woods are pine trees some 100 to 200 years old along with ginkgo, willow, Chinese junipers, and other species. 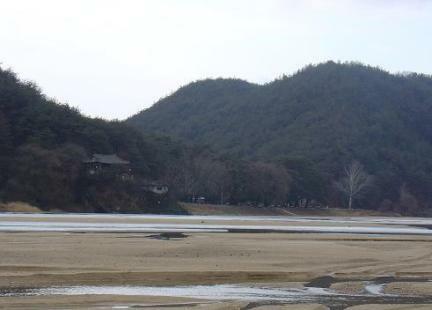 The topography around Seonmongdae Pavilion has traditionally been described as one resembling a wild goose enjoying a leisurely moment on the white sand beach after feasting from the stream. The poetic landscape and honorable scholarly traditions form the historical and cultural ambience of the area.